Welcome to the home page for the University of Arizona Men's Volleyball Team! Here you will find your news, results and any information you may need regarding the upcoming events for the U of A Men's Team. Our club boasts multiple national championships, and we are working towards bringing more home with both of our outstanding teams. The University of Arizona Men's Volleyball A and B Teams are now competing in the Southern California Collegiate Volleyball League. 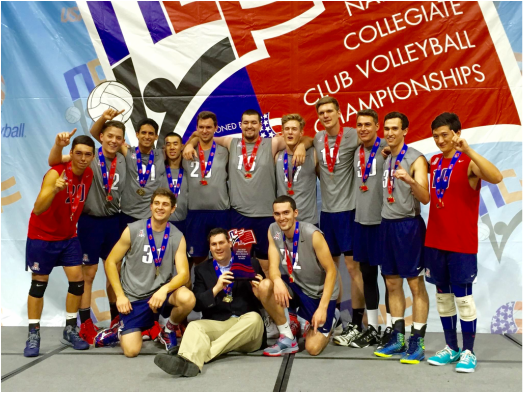 On a national level, Arizona's teams compete within the NCVF, which is the National Collegiate Volleyball Federation. At the end of each season, the team competes in its National Tournament against all of the top club teams from around the nation. This past year at the NCVF National Championships in Louisville, the A Team tied for 3rd place in Division 1 and the B Team brought home another National Championship in Division 3. The future of the program is promising, and we are excited to return this program to its winning ways. The University of Arizona Men's Volleyball program consists of two teams (A Team and B Team) equaling about 25 players. Please view the News page for all updated info about team performance, tryout schedule, etc.